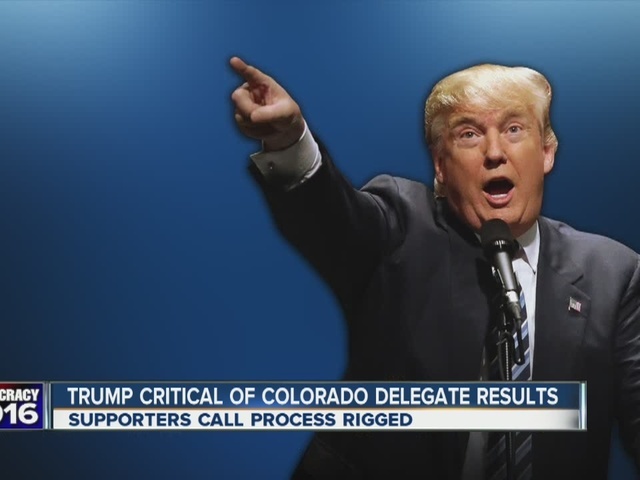 Donald Trump's campaign says they are "of course" thinking about challenging the seating of the Colorado delegation at the Republican National Convention in Cleveland after several ballot irregularities and delegate number mix-ups at state meetings this weekend. A senior Trump aide said in a text message the campaign is "documenting everything" on the ground in Colorado and considering trying to block the Colorado delegation from participating at the national convention, where the ultimate Republican nominee will be picked. One alternate delegate's number from the Trump campaign's preferred slate was not on the scantron ballot -- instead another delegate’s number was listed twice. 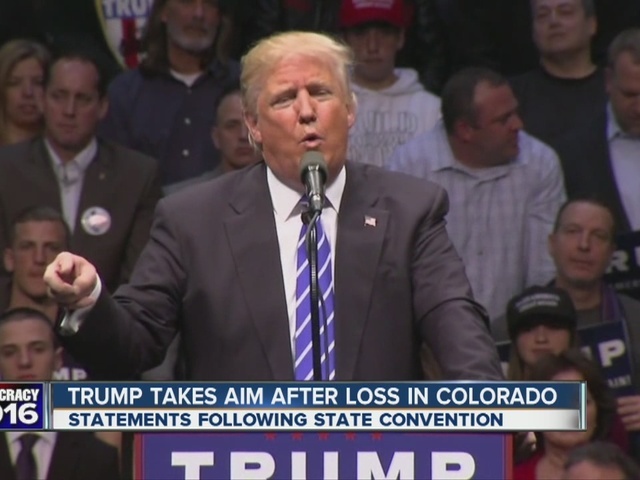 The Trump campaign also blames the Colorado Republican Party for several ballot numbers that did not match the correct names on the Trump preferred delegate slate. More problems in Colorado. Five people on ballot twice. However, Ted Cruz swept all 34 delegates at stake in Saturday’s statewide meeting . Correcting the errors would be unlikely to tip the scales in Trump's favor, as Cruz holds the lion's share of support among local party leaders in the room. The Colorado Republican Party called the ballot irregularities "minor clerical errors," that happen often and pushed aside responsibility for the number inconsistencies on Trump's slate. "Very obvious there was gross incompetence at the state level," said Trump supporter Gabriel Schwartz. He feels the ballot problems may not be part of a secret scheme, but rather a sign of disorganization among Colorado Republicans. “In the many years I've been doing this, I've never seen such really, a poorly run and executed assembly," he said. University of Denver political scientist Peter Hanson says what happened here is a reminder to all campaigns, an on-going ground game matters. "Organization is key,” said Hanson. "It's one thing for a candidate to give a speech and think their work is done. That's just not the way it works." In most states, delegates are bound to candidates according to how voters at a primary or caucus cast their ballots. But in Colorado, any registered Republican can participate in the caucus to help choose their national delegate -- and often who they will support at the convention. In addition, five names were listed on the ballot twice. None of the names were on any candidate's official slates, but two were bound to Cruz, one to Trump and two unpledged. Several names were also added to the ballot late and were displayed on screens in the front of the arena. If the Trump campaign were to contest the delegates, the challenge would go first to a standing RNC panel for disputes, then to the convention’s credentialing committee and finally to the full GOP convention in July.